Building information modelling (BIM) is at the centre of a digitising construction industry. Although many design, engineering and construction teams are still working to update their processes, BIM is no longer the dark art that it used to be. It has been nearly three years since the UK Government made ‘BIM Level 2’ mandatory for all government-funded construction projects. The technology and definitions are still evolving (‘BIM Level 2’ being no exception), but we are entering a world where the ‘type of BIM process’ being used has become a more relevant question than if BIM is being applied at all. Although new technology and ideas capture headlines, it is the entrenching of these processes in standard workflows that actually creates change. BIM is no exception. Being a concept thoroughly rooted in collaboration and the improved sharing of information and resources, BIM has only ever derived value through its collective use and application. As BIM becomes mainstream, its benefits will expand. The true potential of BIM can be explored and there will be opportunities to couple BIM processes and workflows with new technology. For those already well versed in BIM and those just getting started, this is where you can get ahead of the game and develop a competitive advantage in an industry already experiencing rapid improvements in efficiency, quality assurance and outcomes. That is what we are going to explore here. What is BIM and where did BIM come from? BIM is a technologically enabled process that pulls together (under a single acronym) aspects of digital design and construction that have been developing for decades. BIM now gets used to describe most elements of digital design, from simple CADs all of the way through to single-source-of-truth, database-first design processes/software. But, at its heart, BIM is about making digital design more collaborative by improving information sharing and creating workflows to take advantage of these opportunities. For a project to meet BIM Level 2 standards, per the UK regulatory definitions, all associated CAD tools must be capable of exporting to common file formats such as IFC (Industry Foundation Class) or COBie (Construction Operations Building Information Exchange), and the project must deploy a common data environment (CDE) for the easy sharing of information. BIM Level 2 has become one of the more widely accepted definitions of BIM in terms of its practical application. But, the collaborative potential of BIM has always been more than making it easy to share data. The end goal of BIM is to make ‘sharing’ obsolete. ‘True’ BIM software solutions turn traditional CADs on their head, storing data centrally in an abstract data set, allowing any needed CAD tool to simply access common files. There is no need to share information because all members of the design and construction team are accessing the same data set. This type of technology sits in the still undefined ‘BIM Level 3’ regulatory category. But, it widens the possible collaborative processes that can be applied throughout the design and construction process — in addition to impacting how maintenance is undertaken throughout a structure’s lifecycle. Although this type of technology has experienced far more limited application within the construction industry than the less transformational BIM Level 2 standards, software that can enable this type of approach is available from all of the mainstream AEC (architecture, engineering and construction) software providers including AutoDesk, Trimble and Allplan. For the early adopters of BIM, watching the industry catch up can seem threatening. But, by standardising in this way, an ever-expanding proportion of design and construction professionals will gain experience working with collaboratively-enabled teams. The reality of BIM is that although technology is central to what BIM is, it is really the least important aspect of BIM. The key linking BIM to actual improvements in outcome is process. If collaborative technology is deployed within an environment that does not update its workflow processes, nothing will have changed and no benefit achieved. By creating a construction and design industry empowered by collaborative BIM tools, we will raise a generation of professionals that intuitively see potential for cross-specialist collaboration that we have yet to even identify. It is also critical to remember that where the construction industry currently sits in terms of its adoption of both BIM technology and processes is far from complete. Early adopters of BIM Level 2 workflows can retain their competitive advantage by upgrading to ‘BIM Level 3’, single-source-of-truth software and processes. Within a BIM Level 3 framework, there are opportunities for specialists to collaborate at every stage of a project’s life cycle. Architects are able to coordinate with structural engineers and use physics simulators to push the boundaries of structural stability within design. More eyes can be involved at every stage of a project without increasing the risk of design clash, while the existence of a single data set simplifies the deployment of clash detection software. This same data set then makes construction easy, even enabling the creation of animated schedules that can be viewed with whatever level of detail is needed. This all drastically improved quality assurance and efficiency. 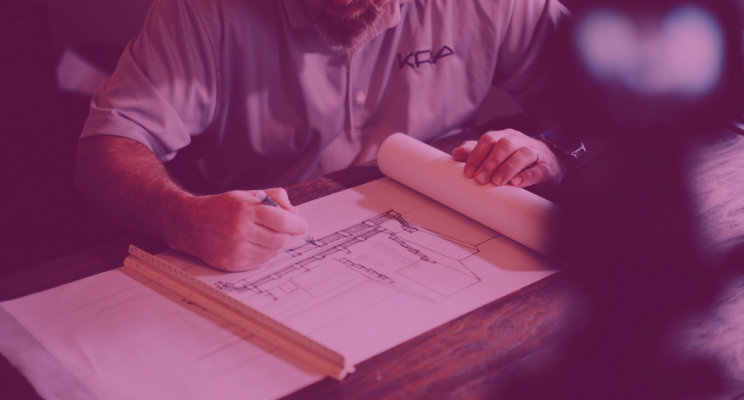 By creating an ever-increasing pool of talented design, engineering and construction professionals that understand the intricacies of collaborative workflows and procedures, it becomes ever more possible to improve how design and construction are approached. It also makes it easy for BIM enabled teams to find and recruit talented individuals who can operate within their BIM enabled work environment. As BIM Level 2, and even BIM Level 3 processes become mainstream, the cutting edge of BIM is increasingly centred on the partnering of BIM processes with secondary technology. Chief among these is ‘scan-to-BIM’. The use of laser scanners to inform BIM models is not entirely new. Creating scan-to-BIM models of existing structures has its origins in enabling construction teams brought in to undertake renovations and building managers looking to deploy modern maintenance technology in older structures. But, the evolving nature of point cloud processing has opened to door to use scan-to-BIM technology throughout construction projects. Stages of a project can be quickly scanned using LiDAR technology and techniques to compare what has been built with a BIM plan. This allows even the smallest flaws to be found and ensures quality. The same technique can then be used off-site to scan prefabricated materials and components, improving the confidence in the use of those construction techniques, even accelerating the adoption of experimental manufacturing technology like 3D printing. BIM, by itself, makes using prefabricated materials easier — creating easy to execute plans. But, the quality assurance guarantees delivered by scan-to-BIM makes it simple. It is estimated that the use of modular design might deliver 10%-20% cost efficiency improvements across the board and reduce labour costs by up to 60% in certain instances. Prefabricated manufacturing also goes a long way towards resolving an ever-increasing skills shortage within the construction industry. Solving quality control guarantees is central to the wider adoption of prefabricated construction techniques. A significant aspect of what has made the use of scan-to-BIM technology accessible is the growth of BIM. Like with the transition from BIM Level 2 to BIM Level 3, the mainstreaming of BIM has created the possibility of partner structural design with laser scanning. But, the survey industry has simultaneously gone through a digital transformation that is making scan-to-BIM an easier choice to justify. Construction teams looking to partner with survey teams to access scan-to-BIM technology throughout their project lifecycle are aspiring to implement the most technologically advanced processes available in construction. To do this cost-effectively, project managers need to make sure that their survey partners are also enabled by the best their industry has to offer. 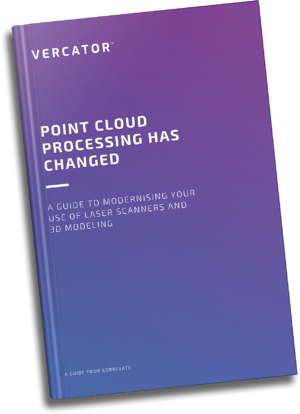 Advances in point cloud processing are enabling 40%-80% reductions in the time it takes to create a point cloud survey using a multi-stage, vector-based approach to targetless registration. Like scan-to-BIM, the utilisation of these techniques is far from universal within the survey community. By striking the right partnerships, construction teams can not only make the most out of BIM, they will improve the cost-effectiveness of deploying scan-to-BIM capabilities and workflows throughout their project. BIM always comes back to collaboration. What makes BIM technology different from traditional CADs, and object-oriented CADs is the ability to collaborate. What this actually means in practice depends on which of several competing definitions of BIM is adopted. However, all deliver an improved capability for teams to work together. The benefits of BIM becoming mainstream within construction is really just an expansion of what the widespread use of BIM within a single construction team delivers — the wider ability to share information and develop workflows that match the technology. BIM is the foundation of the digital future of design and construction. It creates the collaborative shared environment in which new processes and technology can be deployed to significant effect. A big part of that is scan-to-BIM and the use of laser scanners to improve and expand the matching of BIM planning with real physical space and construction output. The wider adoption of the underlying technology of BIM is incentivising the expansion of that technology and the adoption/development of the collaborative processes that are actually fueling changes in outcomes that matter. BIM has been around for a while, but, we are still developing new ways to generate value from the technology. It is only through the input of large numbers of people that we will be able to optimise the innovative processes at the heart of BIM’s true potential. It is simply down to you to make the right partnerships and stay ahead of the curve as the industry catches up to the standards of BIM. You have been reading about the benefits of BIM becoming a mainstream technology and process. 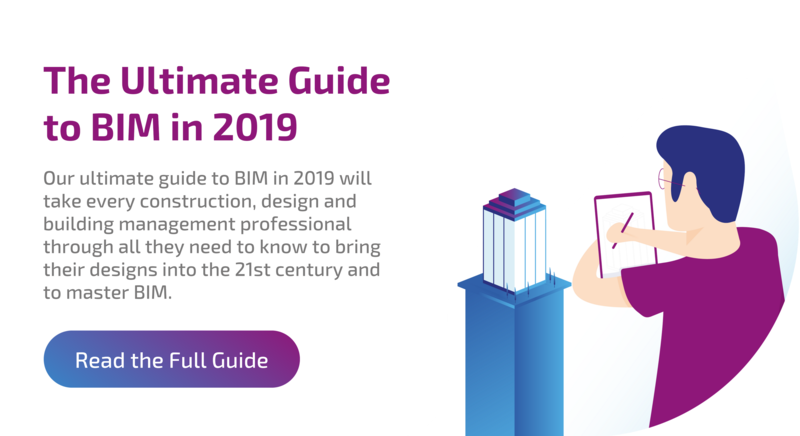 If you want to learn more about how to make the right decisions when it comes to BIM, we have written an Ultimate Guide to BIM just for you!